D & D Pest Control Co. provides free estimates for all your general pest control and termite treatments and inspections in the Richlands & Jacksonville, North Carolina also throughout Onslow County. D & D Pest Control specializes in Termite Inspections, Termite Treatments, Bed Bugs, Mosquitoes, Fleas, Ants, Spiders, Ticks, and honey bee removal services for residential and commercial customers. 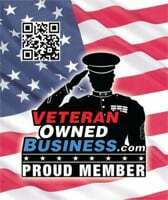 D & D Pest Control Co. is locally Veteran owned and has been in operation since 1994. D & D Pest Control Co.uses the latest, most advanced extermination technological and methods to eradicate your pest infestation problem. Our Integrated Pest Management plans will help keep your home or business pest and insect-free. Our professionally trained technicians will inspect your home or business on the interior and exterior to determine where pest area gaining entry into your home or business. Providing Pest Management Solutions throughout Jacksonville, Richlands, Maysville, Hubert and Swansboro and greater Onslow County North Carolina 28546. Ozone odor control treatment – upto 5,000 square feet of residential or commercial property.